Who will win the 2014 Melbourne Cup? It’s the question you need an answer to, and we’ve previewed each horse in detail with tips and predictions for the race that stops a nation. 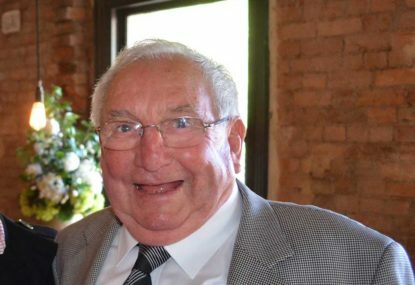 Racegoers were left in awe when a metal miner from Broken Hill produced Rain Lover to win the 1968 Melbourne Cup, in what was to be believed to be Mick Robins’ third month as a licensed trainer. 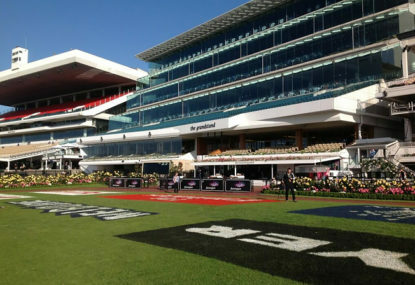 The past seven Melbourne Saturday meetings have had their first race run on Good 3 ground. Enough is enough. You have water. Use it. 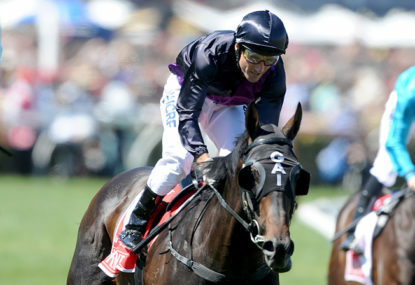 The past five Melbourne Cups have all been won by stallions and four of them now stand at stud. Forget importing Europeans – Australian stock is the one to buy. This year’s Brownlow medal is one of the most difficult ever to predict. Gary Ablett was the midseason leader, but can he hold on? I think so. 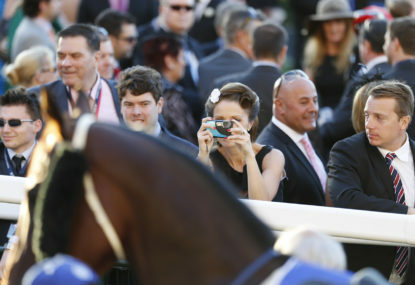 Should trainers be accountable for their comments to the media? As evidenced on Saturday, trainers have such a strong influence on markets that it is only a matter of time before racing’s integrity comes under fire. 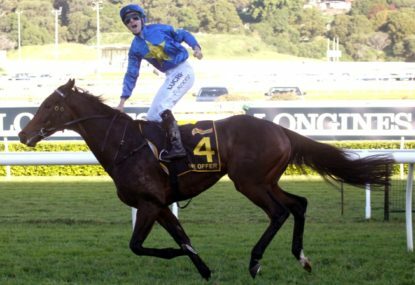 It is seemingly impossible to win a Melbourne Cup with any more than 57kg, and 2014’s Melbourne Cup is unusual in that there there is no obvious topweight horse, and accordingly, no obvious favourite. Well done Jeff Kennett. You said a lot of things which administrators needed to hear and you said it their backyard. 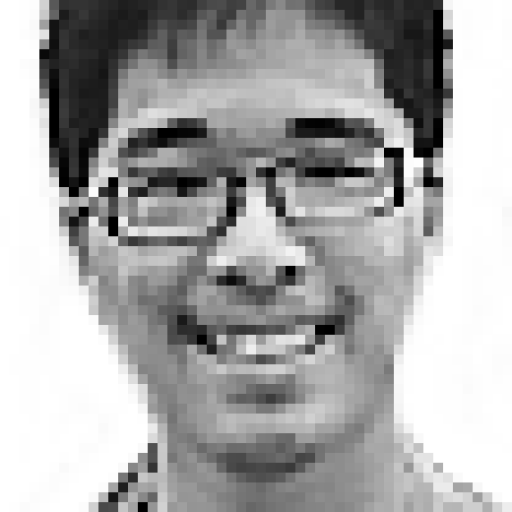 But one solution you offered would cripple the industry much faster than doing nothing. Following jockeys can be just as exciting as following a horse. When you back one early in their career to be a star and it pans out, you are a genius. How much racing is too much? 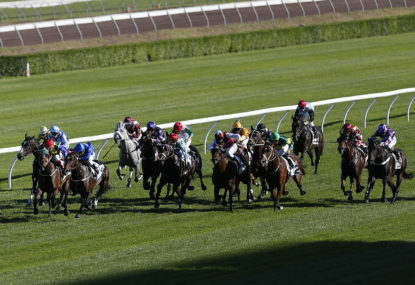 Racing Queensland should be applauded for their initiative to declare Tuesday as a non-racing day, and other states should take note. After carrying his team since their inception, Gary Ablett’s shoulder finally popped. And with that, his seemingly insurmountable Brownlow lead is now catchable. Gary Ablett is set for his third Brownlow Medal as the projected leader after seven rounds, with two former teammates trailing close behind. Could Precedence be the next Zipping? A seven-year-old horse is the equivalent of a 30-year-old professional athlete. Only the best kick on at the highest level at an age where injuries are more likely and retirement is imminent. There are now 72 Group 1 races on the Australian calendar, which has devalued the achievement of being a ‘Group 1 winner’. 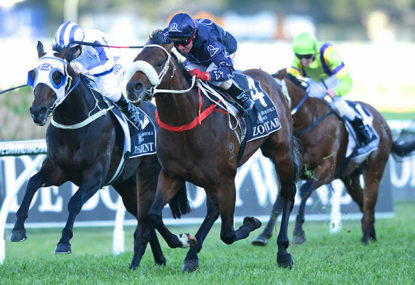 Australian horses spectacularly underperformed across The Championships. Very few New Zealand were sent over, yet those that did gave Australia an utter shellacking across the carnival, claiming big victories. 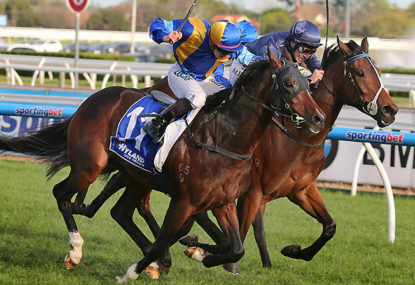 Did we see the 2014 Melbourne Cup winner on Saturday? We saw plenty of horses around the country reach their seasonal peaks on Saturday, but it’s difficult to dispute that The Offer and Our Voodoo Prince were the two breakout stayers over autumn. 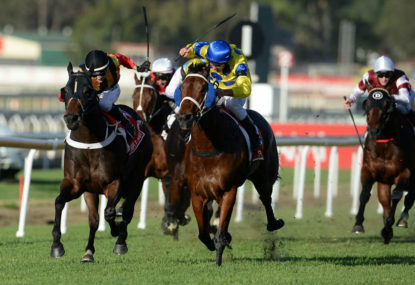 Two miles – it’s the most gruelling test for Australian stayers on the flat. Join us from 3:15pm AEST for a full preview, live blog and post-race analysis of the Group 1 Sydney Cup which is due to begin at 3:45pm AEST. The Queen of the Turf Stakes title is on offer today with the best fillies and mares in the land battling over the mile. Join us from 2:00pm AEST for a full preview, live blog and post-race analysis of this Group 1 which is due to begin at 2:30pm AEST. The nine winners on Day 1 of The Championships were all trained by different trainers, with plenty of bargain buys landing big money. All eyes are on the greatest sprinting prize in the land as we gear up for the $2.5 million T.J Smith Stakes which remarkably features 12 Group 1 winners. Join us from 3.15pm AEST for a detailed preview, live blog and post-race analysis. Don’t think the Melbourne Cup will be on his agenda? 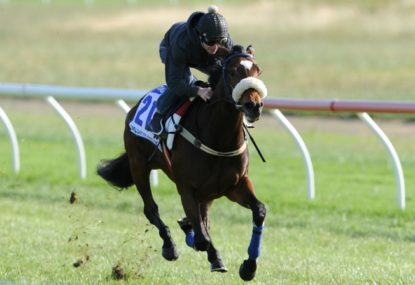 I think he’ll be positioned absolutely perfectly for the Caulfield and Melbourne Cups because his rating is quite low so if he gets in, he’ll be in towards minimum weight. He has a Victorian rating of 102 after his Easter Cup win and you can generally get in to the MC with 53kg around the 109 mark. I would suspect he’ll only need a Group 3 win to find his way into the Melbourne Cup field. Not going to be easy winning all three but if he just wins the Derby or the St Leger, the 3200m will be no issue for Our Voodoo Prince! So that’s it from me folks. 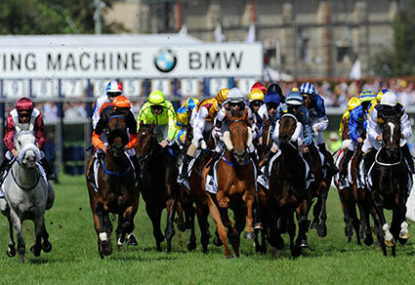 Next up is the race we’ve been waiting for all season – The Queen Elizabeth Stakes which is worth $4million. Tommy Berry is now the favourite to take out the Nathan Berry medal as the leading jockey over The Championships. Opinion was very good in 2nd. I think he could be Melbourne Cup bound too. That was an amazing sprint by The Offer at the end of a two mile race! He is now a big chance in Melbourne Cup markets! “There was a lot of pace in the race generated. “I just bidded my time. “I’ve had a lot of support behind me. Me brother, me best mate was with me. And we’re off in the Group 1 Sydney Cup!!! Angola still leads from Tremec and Hippopus and Sertorius. 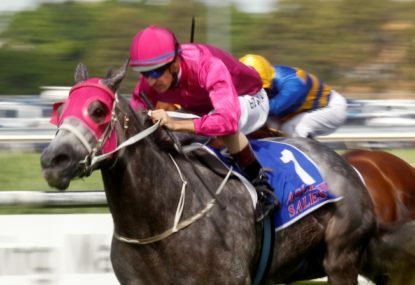 The Offer has shot away from Opinion, Sertorius and Brigantin. Sydney looks surprisingly nice today. The sun is shining. 5 minutes from the jump now. The Offer looks to have stopped drifting now. And so is Justin Cinque! 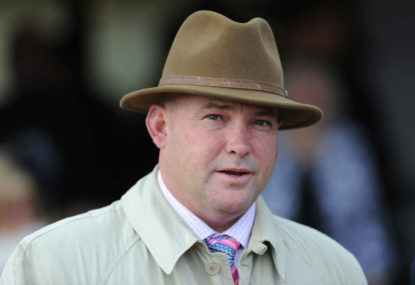 Punters are very keen on the Kiwi having seen two races taken out by Kiwi raiders already. They’re on their way to the gates now. Lets look at the markets. The Offer retains favouritism at $3.20 but the money is coming for Who Shot Thebarman who is now into $6.00 and second-favourite. Sertorius is next at $8.00 with Brigantin and Tupac Amaru at $9.50 each. Voleuse De Coeurs next at $10. I really liked the look of Hippopus and Sertorius in the yard. Like A Carousel and Fifth Column won’t be winning today. Angola looks nice. Cant fault. Macedonian looks oddly good but he’s getting on in years now. Desert Jeuney is being guided around by a clerk. Tremac looks great. Nice stride. Holding his head high. Looks fantastic! Hippopus looks fantastic. Not great form but he looks trained to the minute. Opinion is rock hard fit. Let’s Make Adeal looks fantastic. Nice and relaxed. Her breeding says she can run this distance but her form says she can’t. Query for me. Gondokoro nice and relaxed. Has really put on some muscle over the past few months. Probably not fit enough though.